Home of horse racing in Australia since 1840. Historic Flemington Racecourse in Melbourne, Australia has held races every year since 1840. Flemington is most known as the home of racing in Australia. Flemington Racecourse hosts two major carnivals in autumn and spring that provide some of the best racing held in Australia each year. The famous Melbourne Cup Day in early November is a local public holiday and is celebrated as a special event across Australia and New Zealand. It is known as "The Race That Stops a Nation" as businesses across Australasia come to a stand still to watch the event. Flemington Racecourse has a capacity of over 120,000 and includes 3 major grandstands. Seat Renew were contracted to restore stadium seats in the members stand, the seats were 7 years old and appeared dull, faded and oxidized by years of use and exposure to the elements. 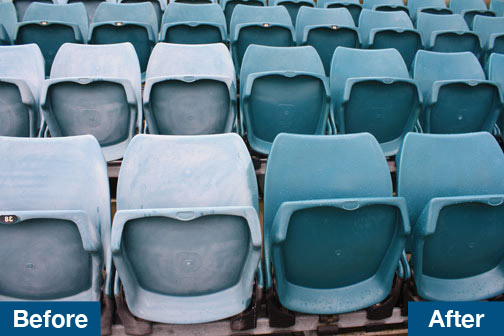 The Seat Renew Process restored the brightness, colour and shine of these stadium seats and extended their life. 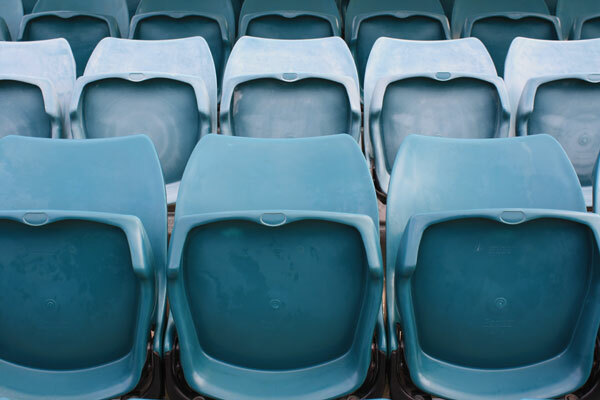 The protective sealant creates a tough weather proof barrier which repels water and contaminants and makes the stadium seats easier to clean.